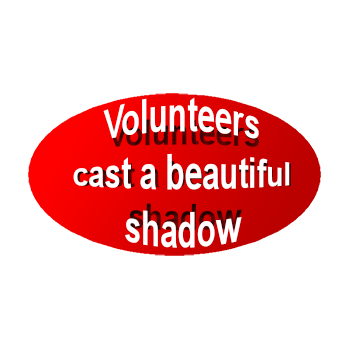 Volunteers fulfill an essential role in communities. Without them, many of the services and facilities that are taken for granted would not be possible. The reasons a person might volunteer can vary greatly from person to person. Voluntary work is done of one’s own free will, unpaid, for the common good. Volunteering is a meaningful and purposeful activity. All motives for volunteering are valid. Gain a sense of achievement and satisfaction. Gain a sense of inclusion within the community. Establish new friendships with people of similar interests. Explore new challenges and interests. Use personal skills in a new setting, gain recognition for your abilities. Learn new skills and get experience. Work for a cause that affects you personally. Increase knowledge of current issues faced in your community. Learn new skills, refine existing ones. Gain new referees for your CV. Gain up-to-date, relevant work experience for your CV. Establish a network of contacts. Prepare for employment after unemployment.